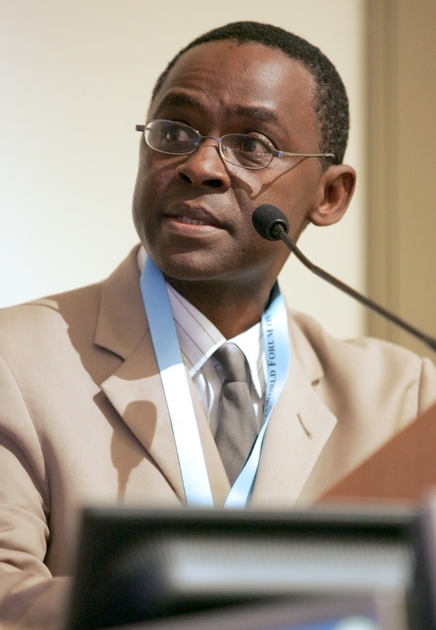 Romain Murenzi serves as the executive director of TWAS, based in Trieste, Italy. He also oversees the administration of the Organization for Women in Science for the Developing World with over 6,000 members; of the InterAcademy Partnership, a global network of some 130 academies of science and medicine; and of GenderInSITE, international initiative to promote the role of women in STI. TWAS administers 440 doctoral/postdoctoral fellowships per year, with applicants from over 90 developing countries, with currently 1,100 students on site. Research grants and other programmes are also offered. Murenzi plays a key role in global science diplomacy and policy. Murenzi initially joined TWAS in 2011 for five years. He then spent 14 months at UNESCO, directing the Division of Science Policy and Capacity Building. On 1/9/17 he was transferred back to TWAS. Before that he served as Rwanda's Minister of Education, S&T and Scientific Research (2001-2006), and as Minister in the President's Office in Charge of S&T, and Scientific Research, with responsibilities including ICT (2006 - 2009). In 2009 he was a senior scholar at AAAS Center for Science, Technology and Sustainable Development; he served as director from 2010-11. Murenzi holds a PhD from Catholic University of Louvain, Belgium.